The parent member is the supporting member of your connection assembly. When inside the connection UI, press the ‘Parent Member’ button to bring up a popup to edit view/edit these options. 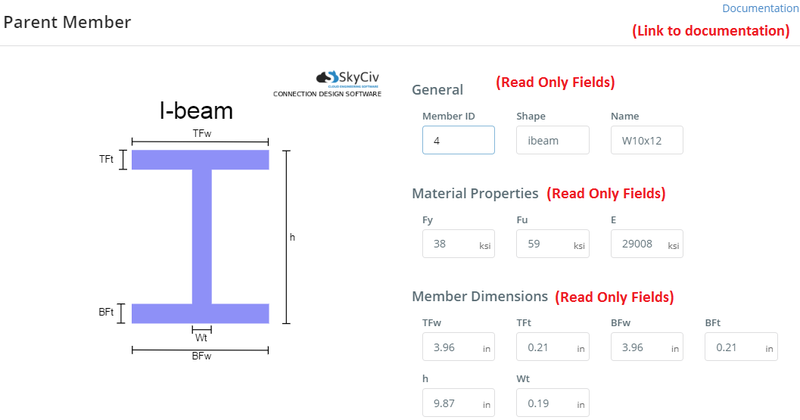 When using connection design integrated with SkyCiv S3D, the section and material properties will be taken from the member that was chosen in the summary table. These values will not be directly editable here. 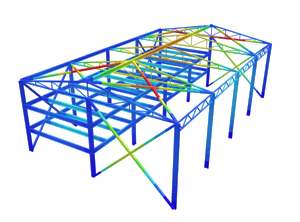 To change the values, you will need to change the section and/or material properies back in the Model. This is however not the case for ‘Standalone’ connection design which you can read more about below. 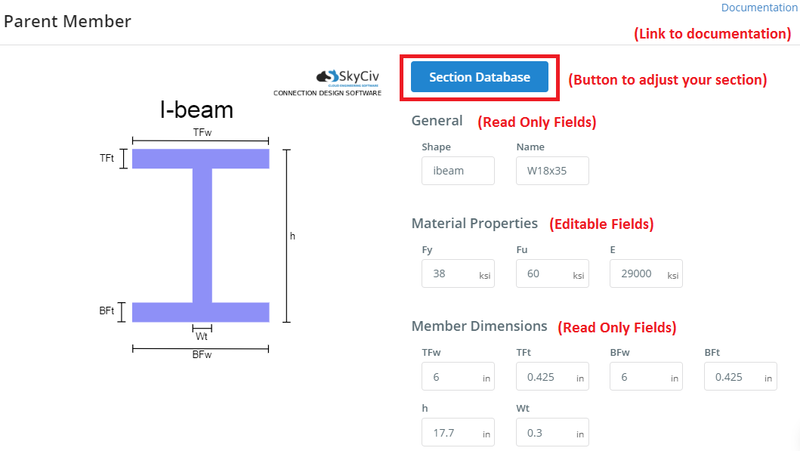 Standalone connection design allows you to directly edit the material properties of your parent member. The general and dimension fields however are not editable. You are however able to change the section assigned to your parent member, by clicking the ‘Section Database’ button to bring up a ‘Section Database’ popup. The options available here will be limited to a particular design code. 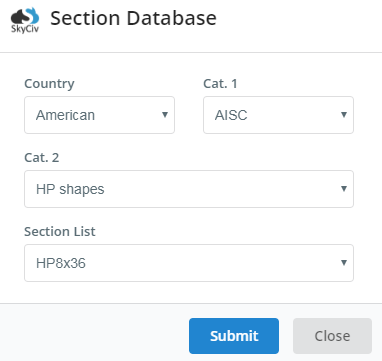 After picking your section, press ‘Submit’ to adjust your member’s section, and wait for the loading spinner to disappear.